Yes, cash it in now and have fun. Not doing much good sitting in your pocket or bank, is it? AUD @ Superich 25.6 10.00 AM. Last edited by terry57; 24-08-2015 at 10:15 AM. Watching the trends tonight. U.S. stock futures drop in early trade; Dow off 139 points. OH MY...Market opens with the trap doors. DOW drops 1138 in 30 seconds. NASDAQ drops 572 or 11%. Hasn't hit bottom yet. Still diving. Pull up a chairs boys. This one is going to leave a mark. Thurs and Friday last week took over a Trillion dollars out of the US market Cap. today....who knows yet. I saw the SET was down big today. 62. Yep, I am wiring some money today to my wife for the monthly expenses, but holding on to the rest a bit longer. I feel 36 before too long. 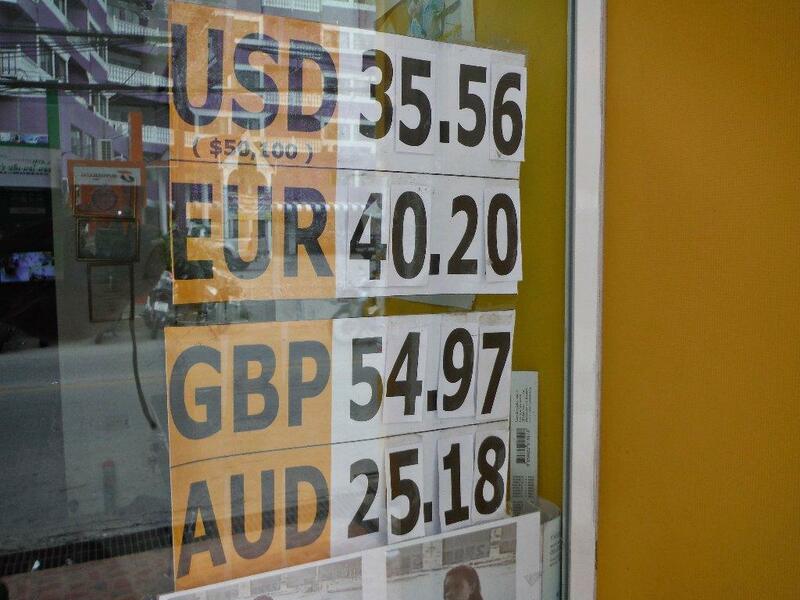 I agree, 36 to the dollar very soon, and I also feel that the Thai economy is about to finally rollover. I also feel that the Thai economy is about to finally rollover. All the economies in SE Asia are hurting. Turns out Thailand's while in bad shape is, compared to others, not as bad. Certainly. Perhaps more given the Government is keen to see it happen to make Thai exports more affordable. I believe Vietnam has already devalued making their rice about 45 US dollars a tonne more cheap than Thai rice . Agreed, SE Asia is hurting and they are doing as you noted, trying to make exports more appealing. Not surprising RC being the dollar took a huge hit when the stock market went south yesterday and the 4 days previous. It might stabilize at mid 35 for a bit. The Philippines has benefitted from a lack of foreign investment and little in the way of raw materials. 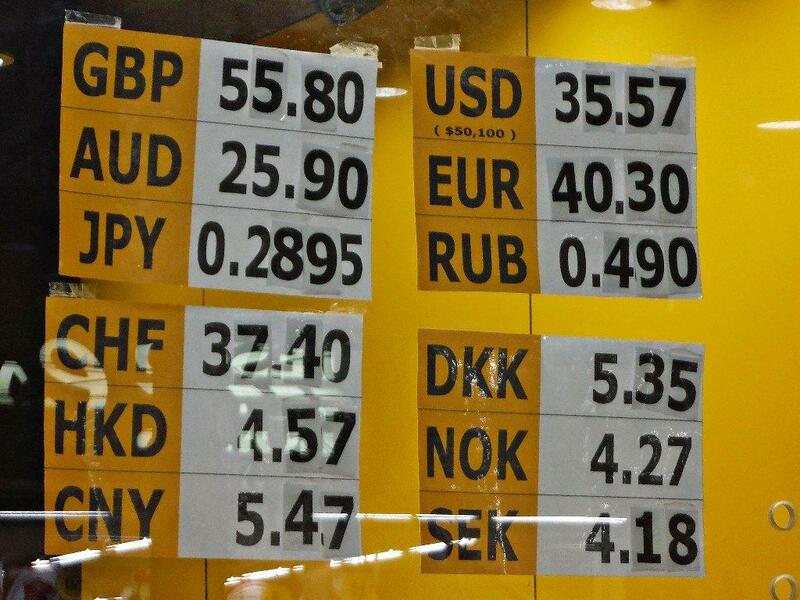 AUD @ Superich 25.35 9.00AM. Market swung up 600 yesterday only to fall 200 further down of the opening bell.800 point swing. Today is a hard call. Its up right now from what I am watching but there is nothing tangible to why other than people who lost a wad are selling short raising activity to make it look better. 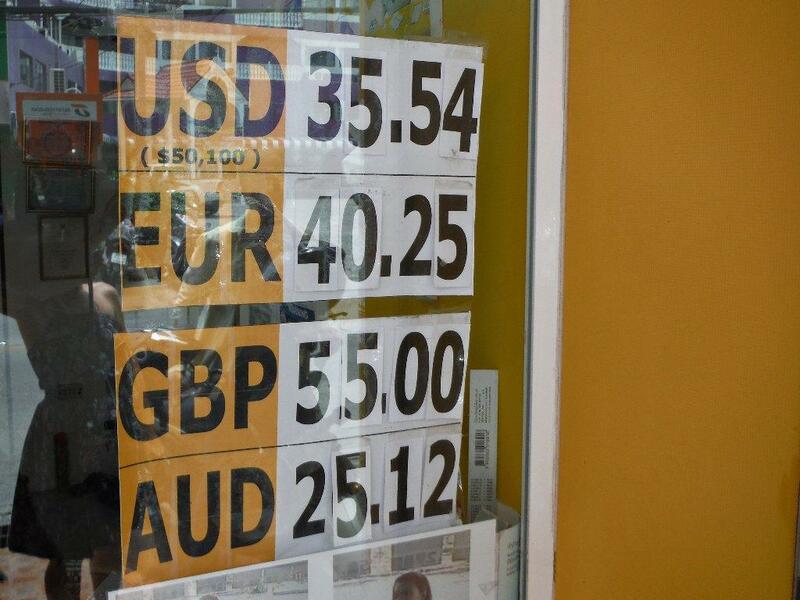 Thai baht flat at 35.5ish to 1 USD. A 36 number looking iffy now.